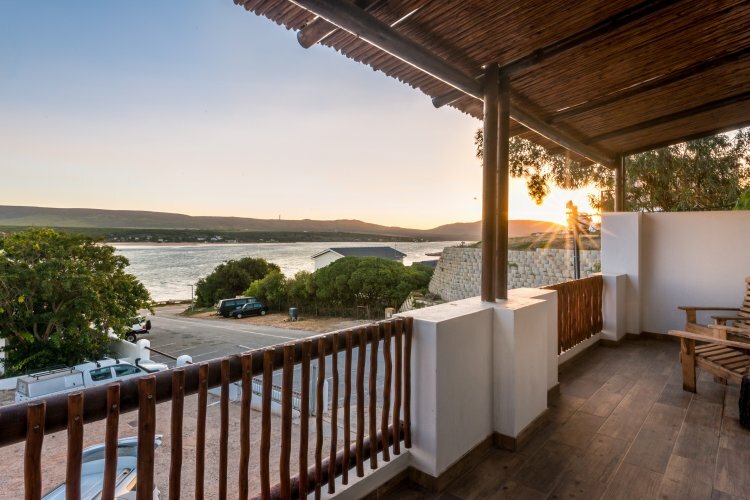 EngelZand is a modern Self-Catering Accommodation, situated at beautiful Witsand, where the abundant Breede River meets the Indian Ocean. 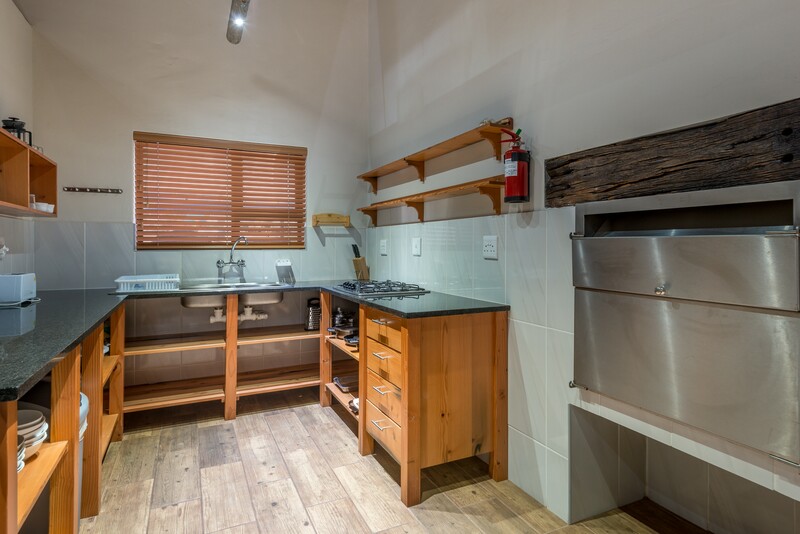 It is a spacious and luxury river chalet, sleeping 8 adults, perfect for fishing groups, families and friends who want to enjoy this hidden gem on the South Coast of South Africa. 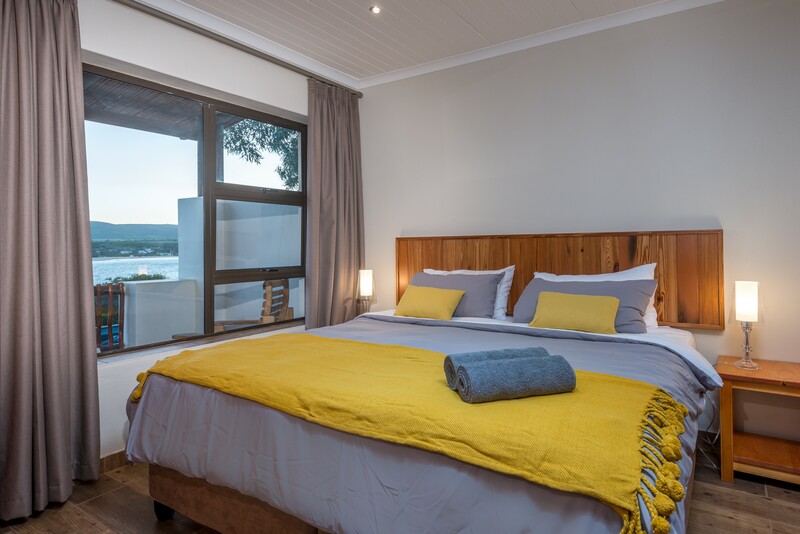 Here you get so much more than other accommodation at Witsand – A brand new chalet, with modern finishes, with new and luxury bedding, it’s situated at the popular Breede River Lodge, where you can access outside braai areas with views, sparkling swimming pool, the harbor, mooring area for your boat, the famous Pili Pili Bar and Restaurant and some of the best fishing in the Western Cape on your doorstep. 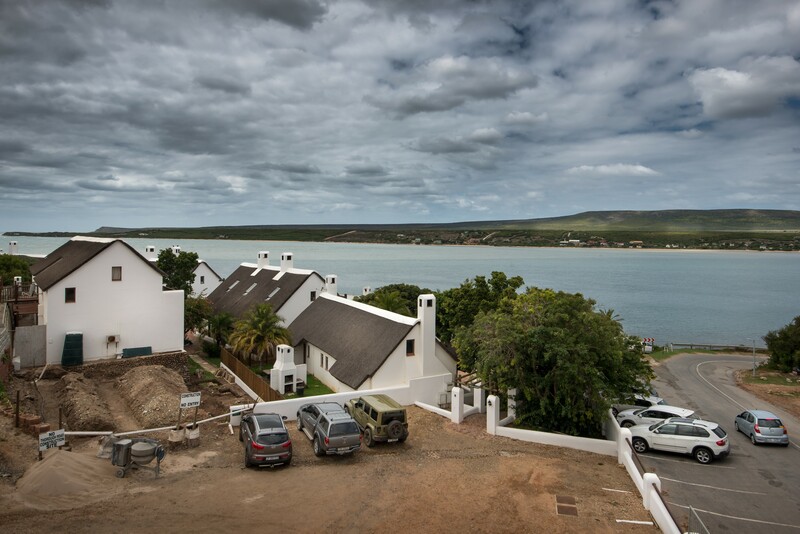 Prize catches of Cob, Grunter, Shad, Garrick and other fish has been caught less than 100m from EngelZand River Chalet, both on lures and bait. 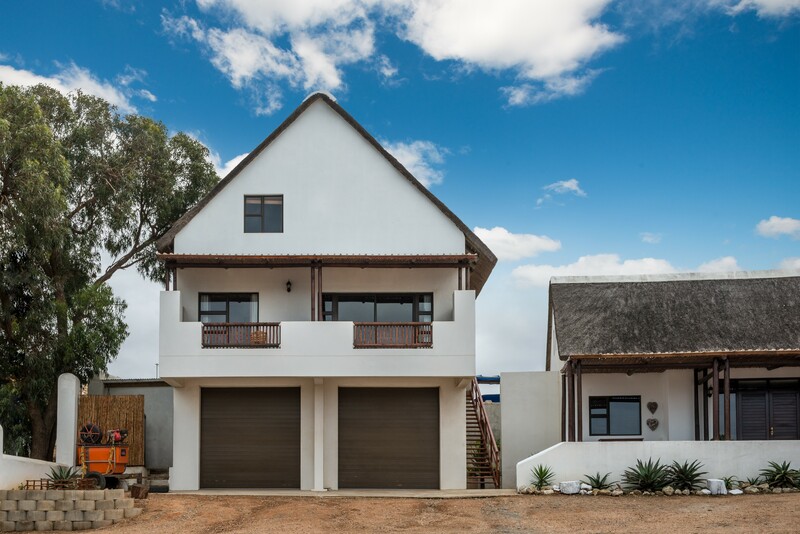 If you are looking for the perfect space at Witsand, with all the convenient luxuries you could need, this it it! 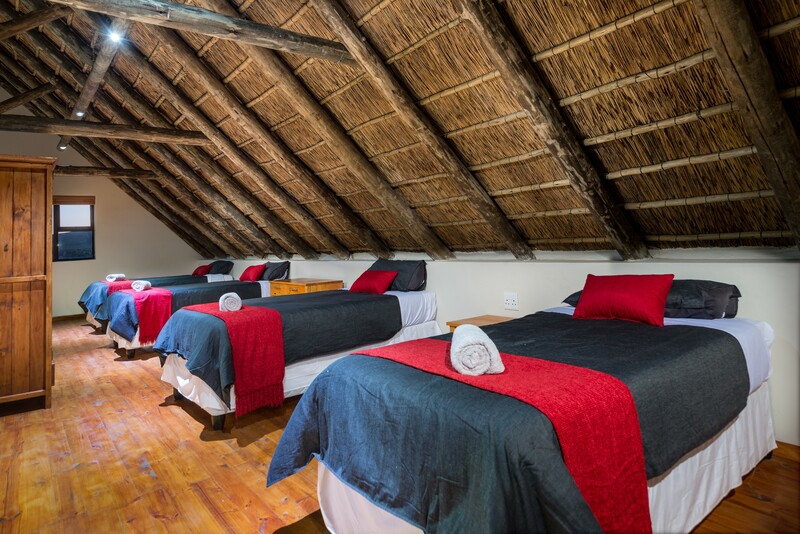 2 Double bed rooms, (with either King Size Beds, or 2 Single beds each, just let us know), and 1 large loft room with 4 single beds, sleeping 8 adults in total comfortably. All bedding are new and comfortable. There are also wardrobes in all bedrooms. 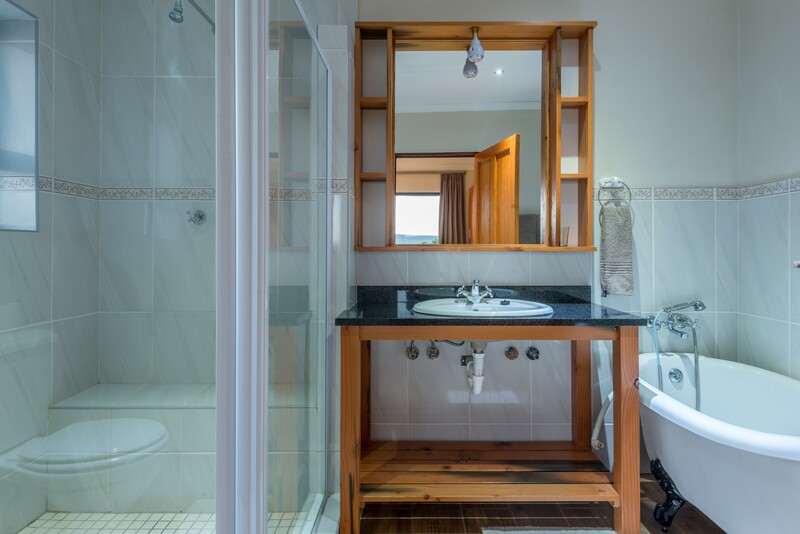 The main Bedroom has views over the river, and a full en-suite bathroom. 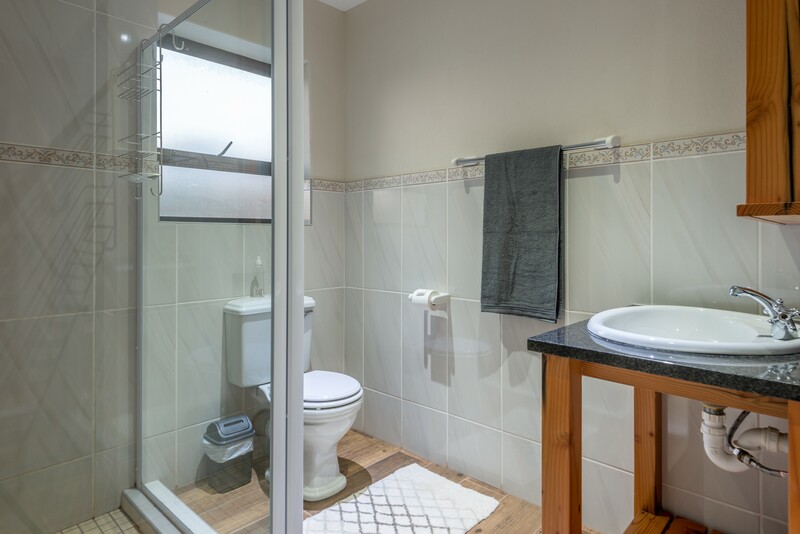 We have 2 new & modern bathrooms (one en-suite) with bath and shower. Towels included. 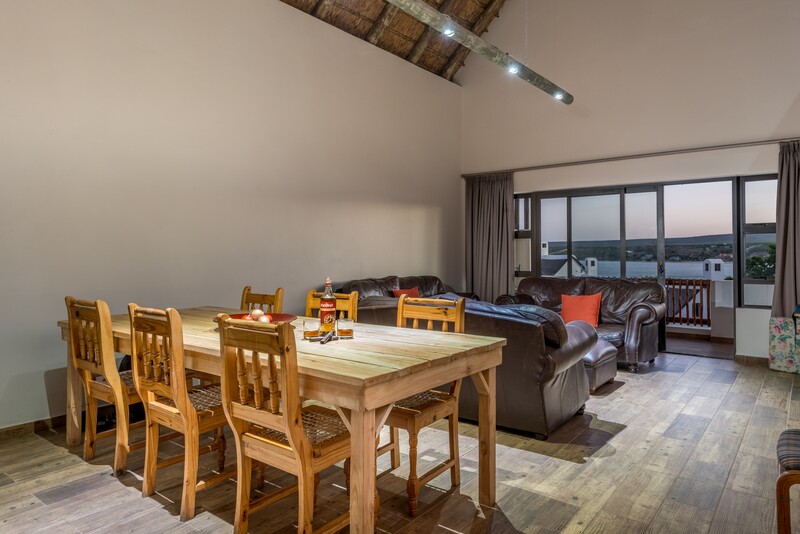 A large open plan living area is a special feature of this space, with big modern kitchen (with microwave, fridge and freezer, and all other utilities), indoor Braai (gas) and fireplace for those cooler or windy evenings. 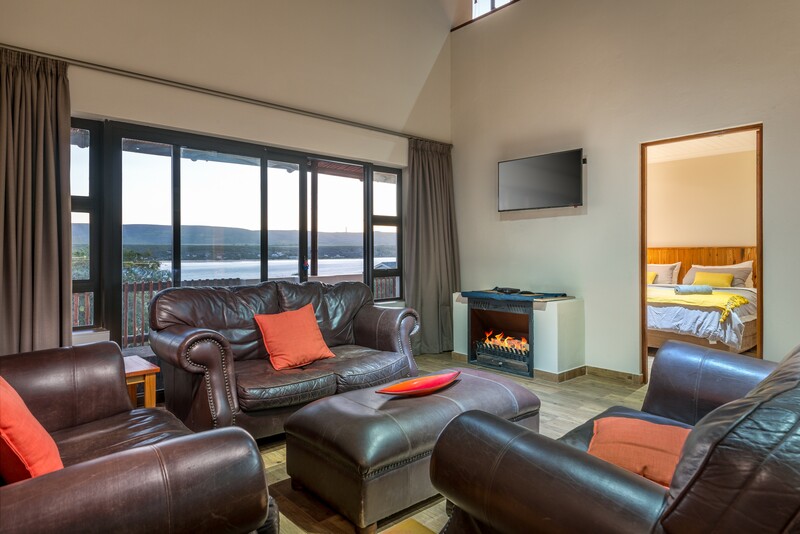 The living area also has a long 8-person wooden dining table and comfy couches that overlooks the beautiful Breede River. 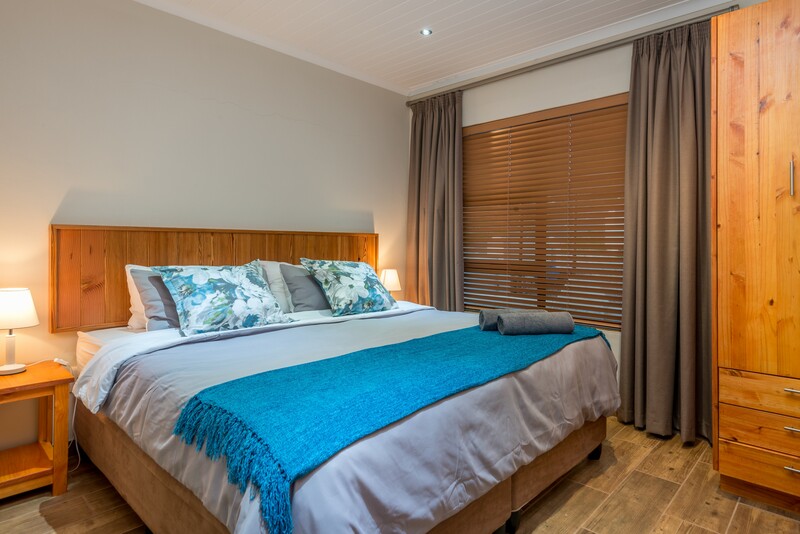 One of our favourite features of this Chalet is the roomy outside balcony, with 180 degrees views over the river mouth (including some sea views). 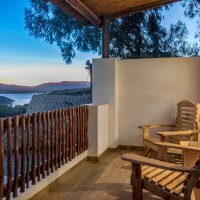 Here you can relax watching the sunset, or have a braai on the small weber braai. 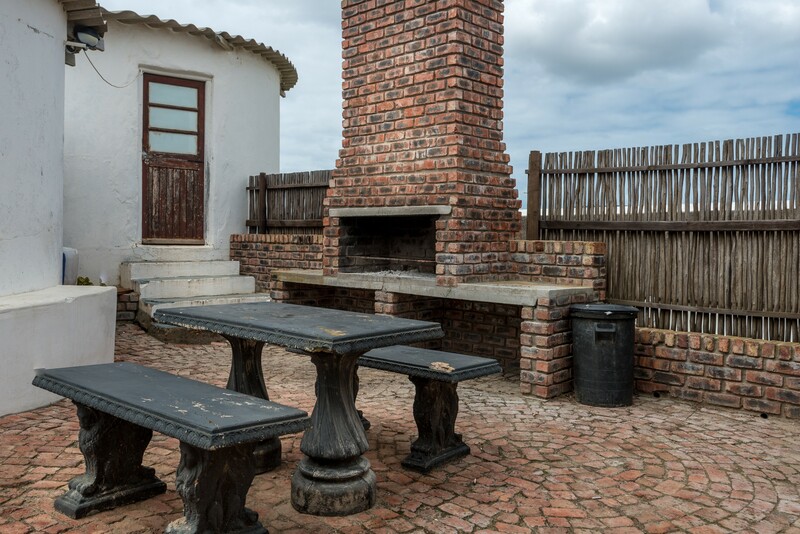 There are also communal outside braai areas that you can use, with a large “Lapa style” braai area, just a few meters from our unit. 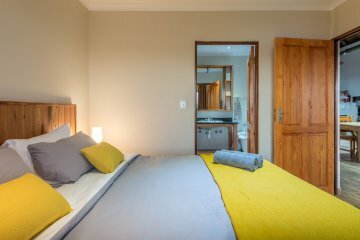 You can also use a large pool, with braai area next to the river. Ofcourse a must visit place is the onsite Pili Pili Restaurant and Bar, that serves excellent fresh sea food dishes and ice cold drinks. If you are visiting to fish, this is the perfect house for you.